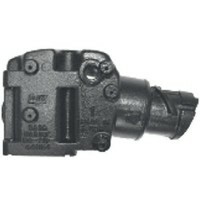 All models are a direct replacement. 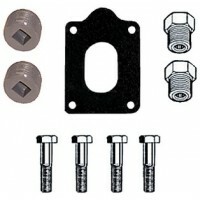 Application: Chevy big block V8: 283, 302, 305, 307, 327 & 350 ..
Adaptor package (fresh water) Description: Adaptor package for freshwater cooled manifold (includes ..
Riser-3 inch w-hdwe barr style Description: 3" spacer block (complete with mounting hardware, gasket..
3/4 x 3/4 hose barb Description: Hose barb - 3/4" x 3/4"..
Water dist tube oe# 3527781 Description: Adaptor for rear end of manifold. 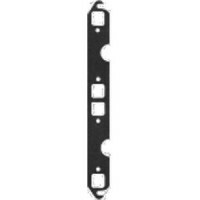 Use with Barr style exhau..
Front end plate oe# 3527869 Description: Front end plate with 1/2" NPT water connection. 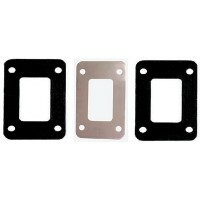 For use whe..
Mtg kit fresh Description: Mounting kit for fresh water.. 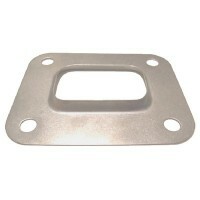 Stainless block off plate Description: Stainless steel block off plate for closed cooling applicatio..
Riser spacer-3in marine pwr cr Description: Pair of 3" riser blocks with hardware..
All models are a direct replacement. 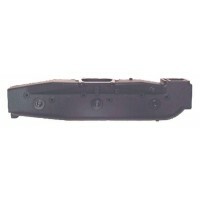 Application: V8: 454 & 502 ci (all models). 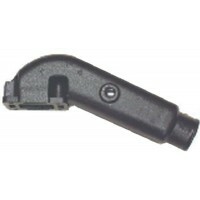 4" riser extension ..
All models are a direct replacement. 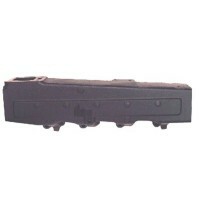 Application: V8: 454 & 502 ci (all models). 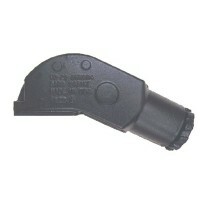 6" riser extension ..
All models are a direct replacement. 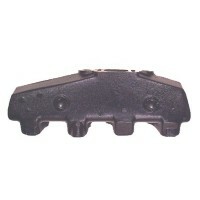 Application: Crusader V8: 283, 305, 307, 327 & 350 ci. 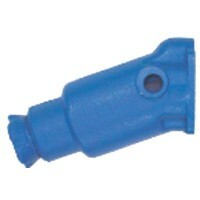 Water co..
All models are a direct replacement. 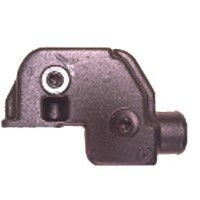 Application: ..
90 degree exhaust elbow Application: ..
Riser upper elbow Application: Chrysler V8: 278, 318, 340 & 360 ci (1966-72). 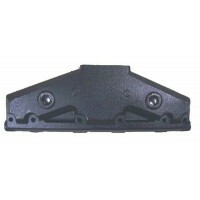 Upper exhaust riser el..
20 deg exhaust elbo oe#3527794 Application: ..
Crusader 90 degree swivel elbo Application: ..
Crusader lower swivel elbow 3i Application: V8: 454 & 502 ci (all models). 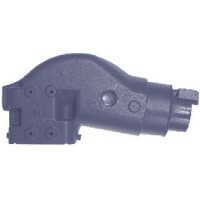 Lower swivel elbow with 3..
Crusader 4in exhaust elbow Application: V8: 454 & 502 ci (all models). 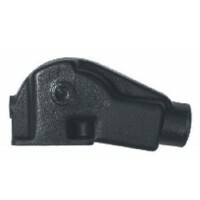 Lower swivel elbow with 4" ou..
Crusader elbow Application: V8: 454 & 502 ci (all models). 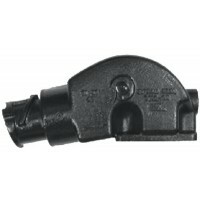 Exhaust elbow assembly, 4" I.D. 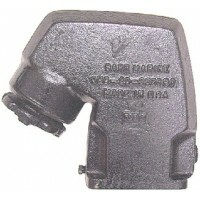 exhaust h..
Exh elbow 3in cr#96560 & 98068 Application: V8: 454 & 502 ci (all models). 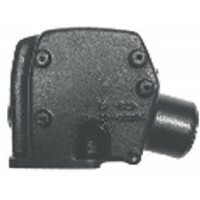 Exhaust elbow assembly, 3..
Elbow-exhaust nla mc#76771a 3 Application: Exhaust elbow riser replaces MerCruiser #B-76771A3 (inboa..
Elbow-exhaust omc 3.0l 140hp Application: Exhaust elbow fits OMC 4 cylinder 140 hp..
Elbow-exh omc gm sb log-style Application: Exhaust elbow fits OMC V8..
Gasket-end plate gray 401ci v8 Application: Manifold gasket..
Gasket-manifold to head gmbbv8 Application: Manifold to cylinder head gasket-V8..
Gasket set-man.to cyl. 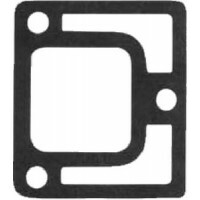 hd. 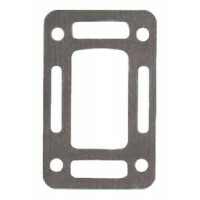 mtg Application: Manifold to cylinder head gasket set. 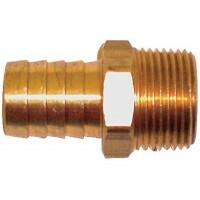 Requires 1 per eng..
Manifold-v8 (with mtg. hdwe.) 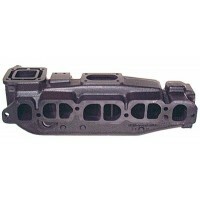 Application: Chevy small block V8: 302 & 351 ci (all years). 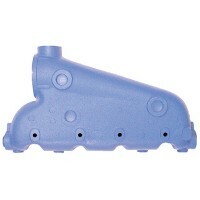 Water coo..
Manifold-aluminum cr gm sb v8 Application: Chevy small block V8: 283, 302, 305, 307, 327 & 350 ci (a.. 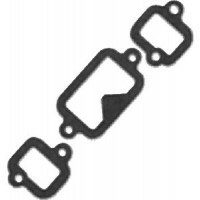 Manifold v8 w/mtg hdwe Application: Chevy big block V8: 283, 302, 305, 307, 327 & 350 ci (all years)..
Manifold-aluminum cr gm bb v8 Application: Chevy big block V8: 427 & 454 ci (all years). 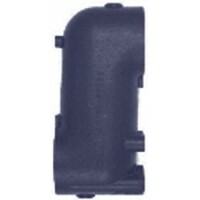 Water coole..
Manifold-chrysler v8 big blk Application: Chrysler big block V8: 361, 383, 400, 413, 426 & 440 ci (1.. 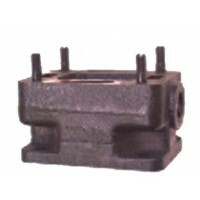 Manifold chrysler v8 73-86 Application: Chrysler V8: 278, 318, 340 & 360 ci (1966-72). 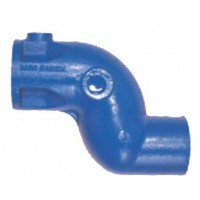 Water cooled ..
Manifold-crusader cr gm sb v8 Application: Crusader V8: 283, 305, 307, 327 & 350 ci. 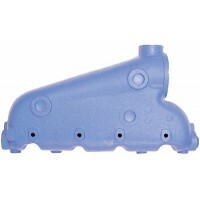 Water cooled ce..
Manifold-cr ford 5.0l-5.8l Application: Ford small block V8: 302 & 351 ci (all years). 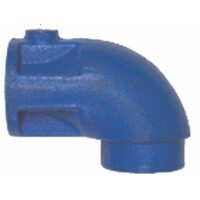 Water cooldd ..
Manifold-gm l6 nla mc#58759a14 Application: MerCruiser straight 6 GM model 165. Water cooled log sty.. 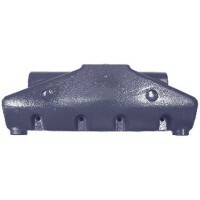 Manifold repl nla mc# 65603a12 Application: MerCruiser V8 Ford small block 302 & 351 ci inboard and .. 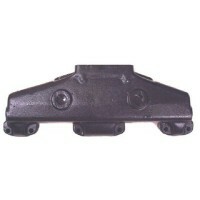 Manifold repl nla mc# 65604a12 Application: MerCruiser V8 Ford small block 302 & 351 ci inboard and .. 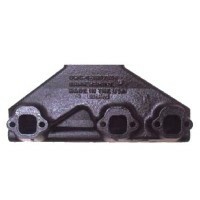 Manifold 5.0-5.7l mp#0994-100 Application: MerCruiser V8 models 898R, 228R & 260R. Water cooled cent.. 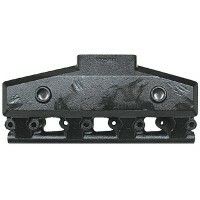 Manifold 7.4-8.2l mp#0991-100 Application: MerCruiser V8 models 330, 340 & 454 ci Magnum inboard and.. 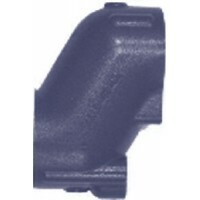 Manifold ex 4.3l v6 mp#611447 Application: MerCruiser V6: 229, & 262 ci, models 185R, 185MR, 205R & ..
Manifold-gm 4.3l v6 omc-volvo Application: OMC/Volvo V6 4.3 liter(all models). 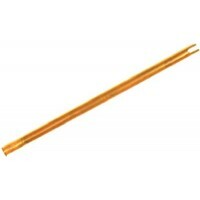 Center rise exhaust m.. 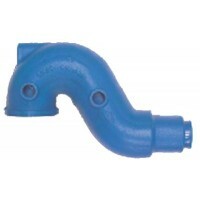 Manifold 5.7l omc-vp cobra-sx Application: OMC/Volvo -Exhaust manifold. 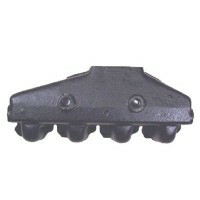 Replaces OMC #914035 and Vol.. 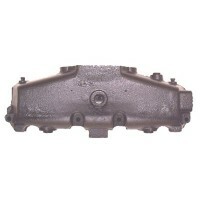 Manifold gm 3.0l omc#998083 Application: OMC 4 cylinder, 181 cid, 140 hp, 3L (model 140 engine). Rep..
All models are a direct replacement. 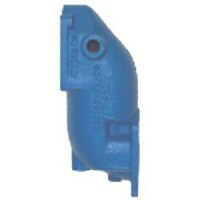 Application: Chrysler V8: 278, 318, 340 & 360 ci (1966-72). 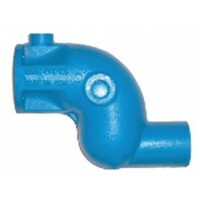 Ful..
Gasket-riser to manifold-barr Application: Center riser manifold to riser gasket for raw water cooli..
All models are a direct replacement. 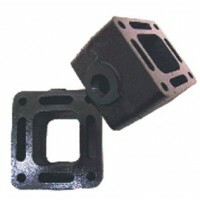 Application: Exhaust riser/elbow. 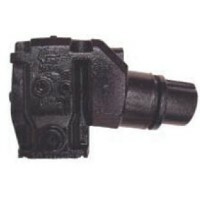 Replaces OMC #913784 and Volv..
All models are a direct replacement. 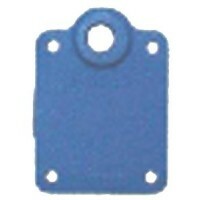 Application: Pleasurecraft V8: 302 & 351 ci (all years). Water ..
All models are a direct replacement. 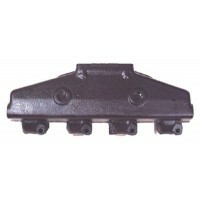 Application: Volvo V8: 307 & 350 ci. 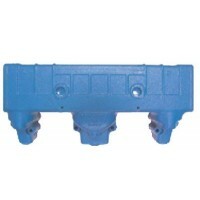 Models AQ 200D, 200F, 225D..
Sierra manifolds are painted, packaged and leak tested. 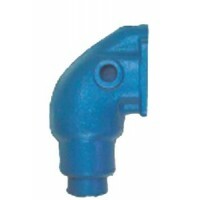 Application: Elbow - Chrysler model 273, 318..
Sierra manifolds are painted, packaged and leak tested. 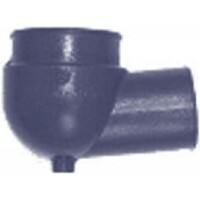 Application: Replaces: Mercruiser 98504A3..
30deg elbow w/ hose Application: Chris-Craft, Crusader, Pleasurecraft, Mercruiser, OMC Sterndrive/Co..
Sierra manifolds are painted, packaged and leak tested. 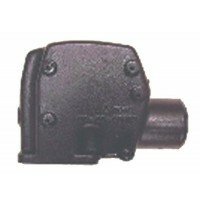 Application: Elbow - Mercruiser stern drives..